These individuals are true pioneers and innovators of the healthcare landscape and have all made extraordinary contributions to health information technology to improve care delivery and patient outcomes in New York State. 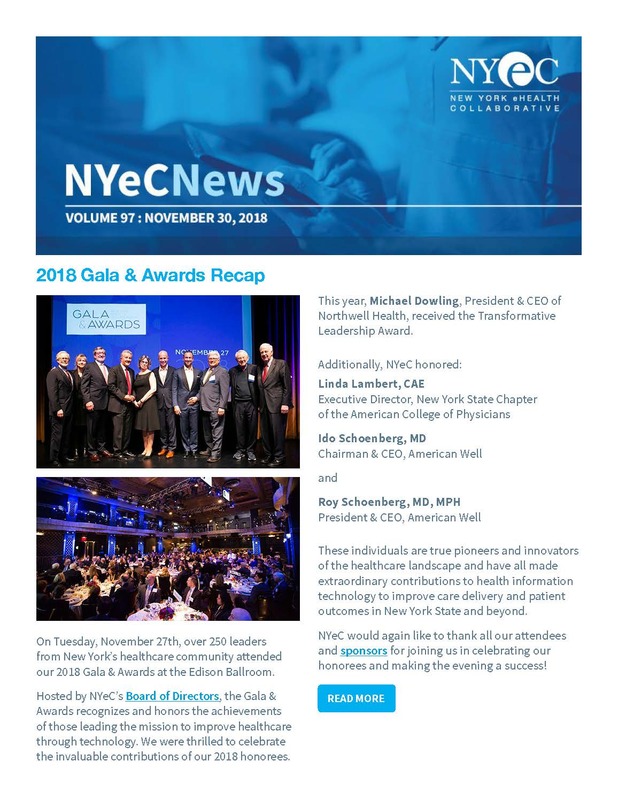 Other top headlines include updates from Hixny, HealthlinkNY, & HealtheConnections and industry news on the next generation of healthcare technology and how the right IT solutions can deliver a better patient experience. You can also stay up-to-date on NYeC’s Healthcare Advisory Professional Services (HAPS) team.